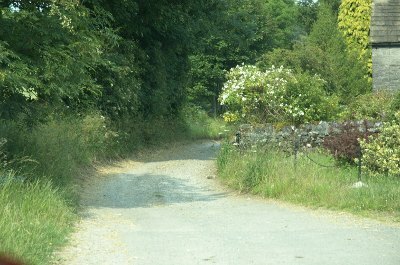 A very enjoyable varied drive on narrow lanes and across fields. Lovely views. 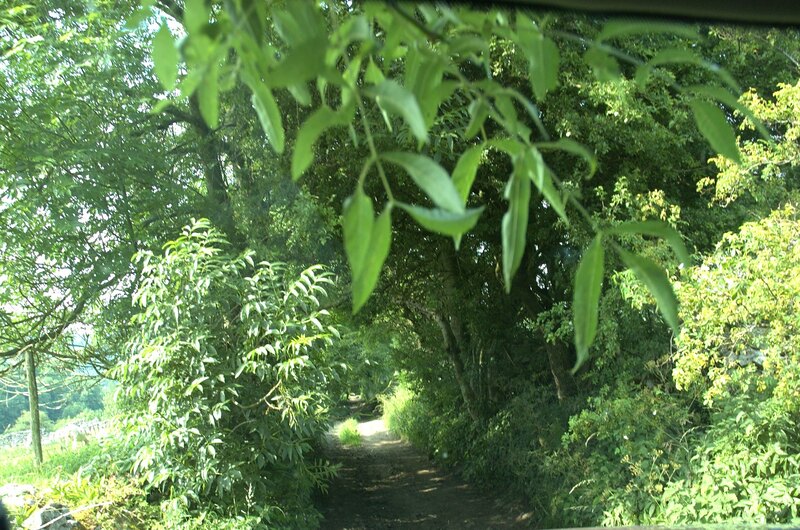 RATING: A fairly straightforward drive although encroaching vegetation narrows the width on some of the byways. 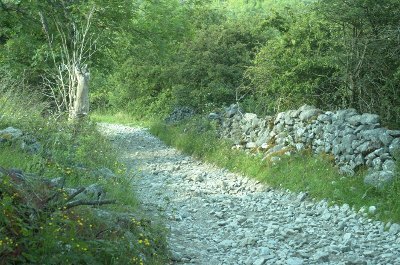 A rocky section at the final descent to Upperdale is a little more tricky. 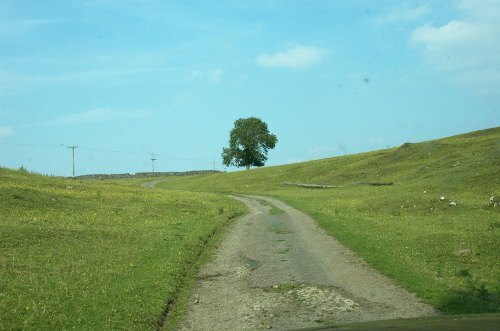 The drive starts at an unmarked byway at a bend in the road just before Priestcliffe Ditch. 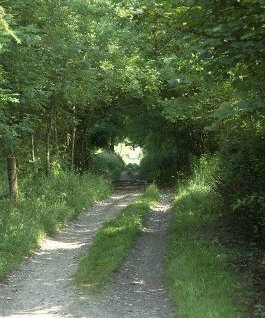 The unsurfaced track leads away from the tarmac and soon becomes tree lined and pretty but the vegetation was abundant and in July 2011 when we drove it we felt it likely that any further summer growth would take over the lane altogether. 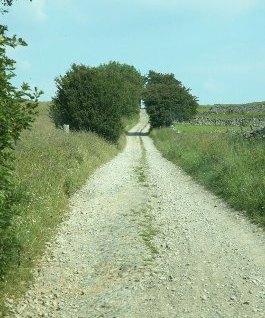 After about a mile the lane forks to the right and the trees disappear as the track climbs upwards before descending again to pass through the cluster of farm buildings at Priestcliffe. Follow the unsurfaced track to the left. This drive takes in both open tracks and classic tree lined greenlanes. 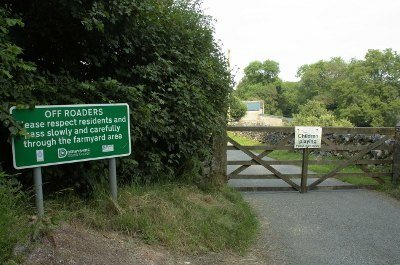 It passes alongside a nature reserve, accessible by footpath with room to park. 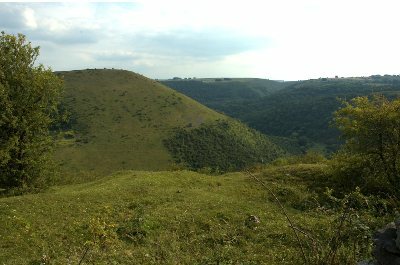 Many of the adjacent fields show evidence of the old mine workings once so abundant in the area. 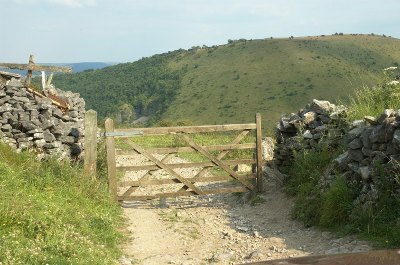 At Brushfield Farm the gate across the road and the sign acknowledge the use of the byway by off road traffic. After passing through the farmyard the drive is mainly across fields with fabulous views to the right across the valley. 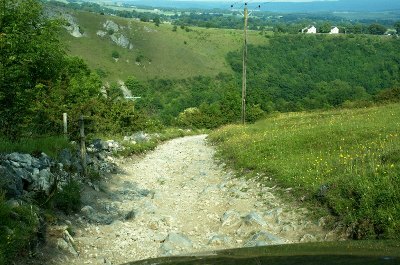 The road descends fairly steeply down Rutwell Hill towards Upperdale at the end of the drive. Although not too difficult the loose stony surface and occasional larger rock could prove slippery and unstable necessitating care, control and diff lock. This is a very enjoyable drive of a decent length. 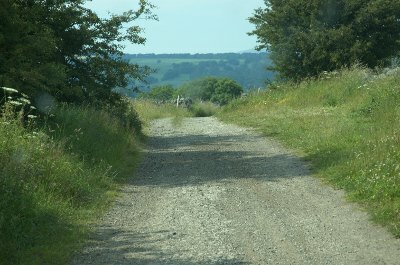 The Derbyshire police and the Peak District National Park Authority are working to promote sensible greenlaning whilst preventing illegal off-roading. Known troublespots and vehicles are regularly checked. 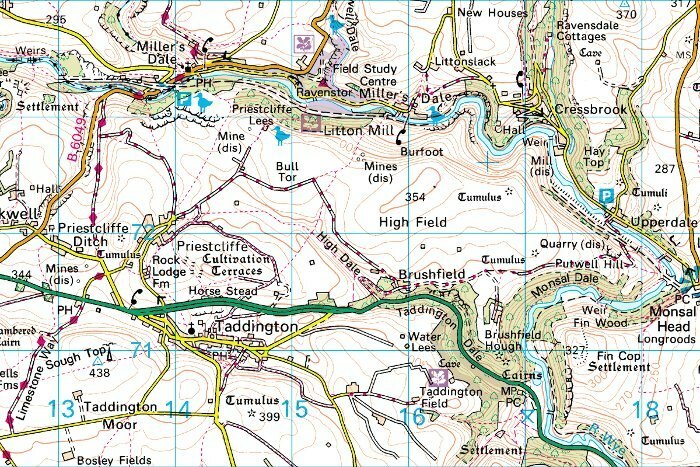 This has led to Derbyshire being one of my favourite haunts for seeking out greenlanes to drive. Most trails are well marked and those that are no longer in use or are not part of a public byway usually display clear notices. Nearby Limestone Way leads almost to the start of the Priestcliffe drive and can be used to extend a pleasant afternoon's drive a little further.